My short story “The Rainbow’s End” is now live on Akashic Books website! You can find it by clicking on this link. 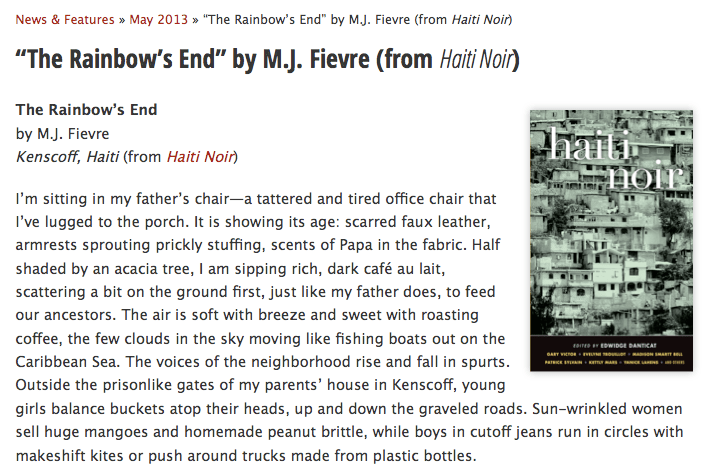 The piece is from HAITI NOIR, edited by Edwidge Danticat, one of the truly great contemporary writers. The book features stories set both before and after the devastating 2010 earthquake.